Hi Eli welcome to the forum !! That is an interesting thought but the fact that Gideon killed Nathan also gives Sylvia options in her future writing because that fact will affect him for the rest of his life. On the other hand Eva is now free to be the person she was meant to be knowing that the threat of Nathan is irrevocably gone from her life and there are endless options with that . Just my opinion!! Yes of course that would have been perfect but so predictable and lacking that darkness which is part of the story ... I think it was mentioned that the people from Lion's Gate like the darkness of the Crossfire Series . Wait til you read the first two chapters in EWY...their steamy love-making reunion is sooo special knowing that he made the ultimate sacrifice for her. If Nathan had not been killed off from the story line then we would have a series of 10 books and not just 5. I couldn't handle more than 5 books that all cover less than four or five weeks at a time. If Nathan were still around, then there would be a constant dialogue about Eva's safety and her fighting Gideon and Monica/Stanton over the issues of body guards, tracking devices and etc. 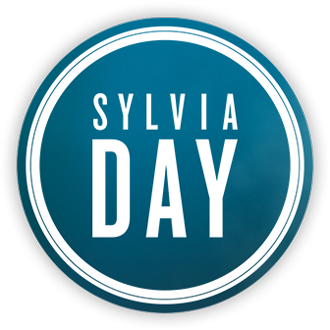 All that would make the books too similar to 50 Shades, and nothing against first time writers being extremely successful with their first book, but Sylvia Day has too many books under her belt to write story lines that go round and round and round like they did on 50 Shades. I wish we could have gotten to see an interaction between Eva and Nathan though... I hope that doesn't sound to disturbing, because I also imagine Gideon bursting into the room and taking Nathan down to China town. And even better, Eva taking him down with her Krav Manga skills. Really good discussion topic btw. I never really thought too much into Nathan. If I would have heard in the first book he died in a car accident at 16 I wouldn't have cared. He was a horrible man who did a horrible thing. I guess he could have been left in there for suspense but nah. I think Christopher is going to be Mr. Evil in the next two books. I THOUGHT THE SAME THING! Plus,the police have to beÂ suspicious of Gideon and Eva getting married only a few weeks he "broke up" with her.The police have to know they're married by now.